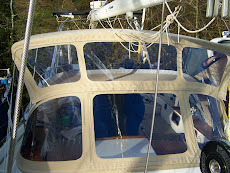 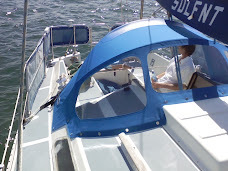 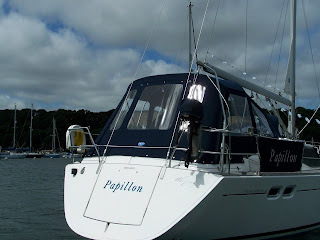 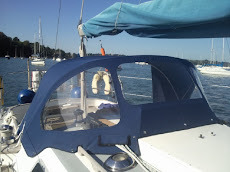 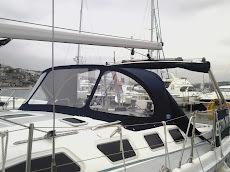 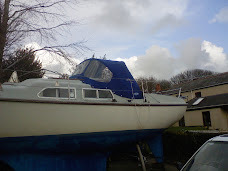 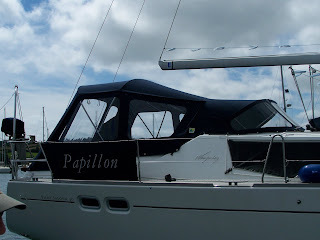 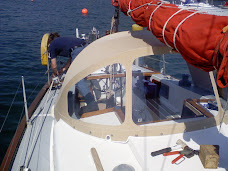 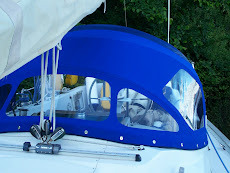 The cockpit of this boat is very wide and long, and as the owner also wanted to use the enclosure as a bimini, a lot of thought went into the design of the bars. 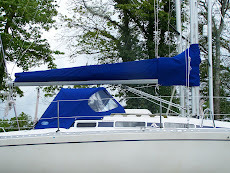 In the end, we used two bars, each split in the middle for ease of storage. 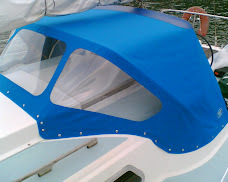 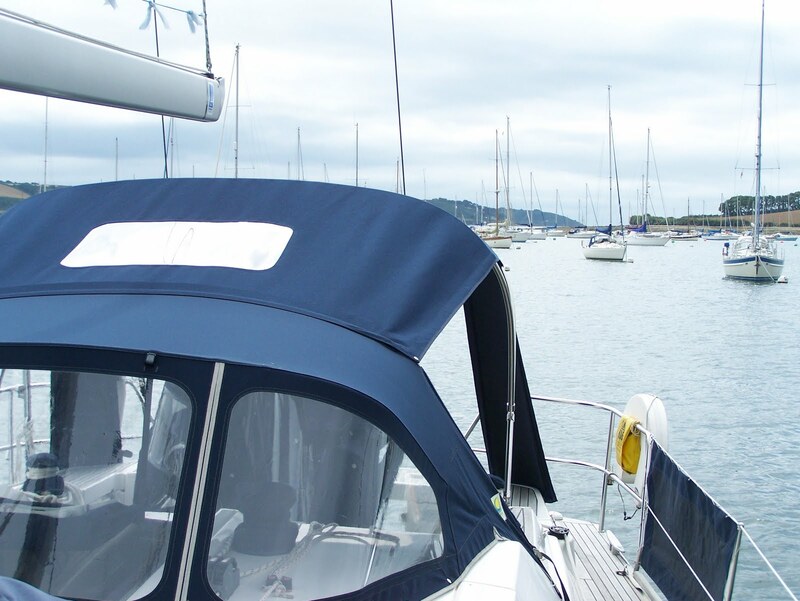 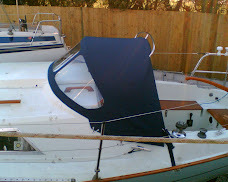 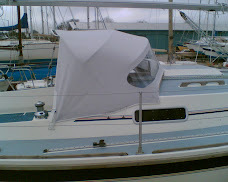 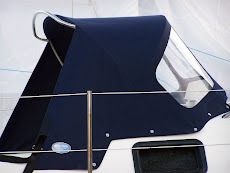 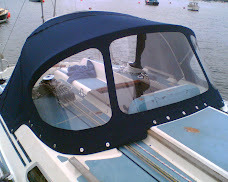 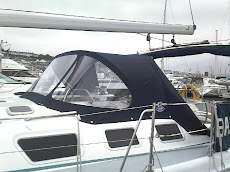 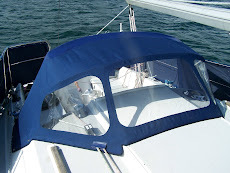 The enclosure has eight windows, including one in the top section, and zip up sides and aft section, so that all sections can be rolled up or zipped out of the way to provide the bimini.